Submitted by maddiehope on Mon, 2009-09-28 19:39. 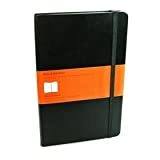 Is it worth going up to $16.00 plus $6.00 shipping considering that Levenger has them for $19.95 right now? How much does Levenger generally charge for shipping in the lower 48? Is it by weight, volume, or do they have a flat rate? I know they have the free over $100.00 deal, but I won't be spending quite that much. Submitted by ygor on Mon, 2009-09-28 20:23. You can put items in the "shopping bag" and start the checkout process, aborting before you actually have to pay, but AFTER you see the full cost with shipping -- that's what I just did. Submitted by maddiehope on Mon, 2009-09-28 20:43.